There are several biliary tract disorders are a gastroenterology condition that patients may experience throughout life, either as the result of illness or genetic conditions. The bile ducts carry bile from the liver to the small intestine, which is an important function in the human body. When the bile ducts become infected or blocked, it can result in serious health complications for a patient. As such, if you experience any of the symptoms of bile duct disorders you should consult with Dr. Yamini at his offices without delay. Jaundice, excessive itching, abdominal pain, light-colored stools, dark urine, fever, nausea and vomiting are some of the common symptoms of a biliary tract disorder. Treatment is carried out by a relevant specialist or through a multidisciplinary approach, depending on the cause of the biliary tract disorder. Biliary tract disorder symptoms may also indicate the presence of cancerous tumors, so it is essential to seek diagnosis and treatment if you experience symptoms that are persistent. 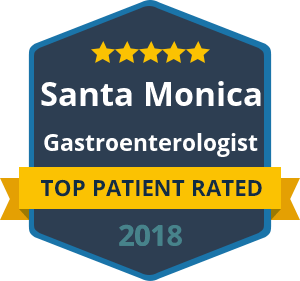 You can reach out to Dr. Yamini for a consultation at his Santa Monica or Beverly Hills offices today if you are having symptoms you believe may indicate a biliary disorder.